Invited By Mr Grey AQHA papers in hand. 2015 Grey appendix colt. Spike is big and bold!! Strong hip and shoulder will make him a great all around gelding. Dam is a proven producer. His full sister is showing great potential for the hunter ring with a giant flowing stride and laid back attitude! Spike should mature to 16.1+hands! 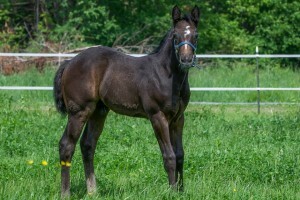 He is a beefcake and will be great for halter and lunge line as a yearling!